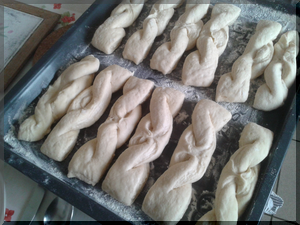 Yum yum from “Brilliant Bread” by James Morton. original recipe here. 1. 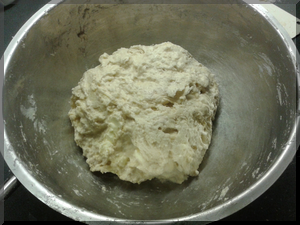 Put flour, salt and yeast in large bowl, mix. 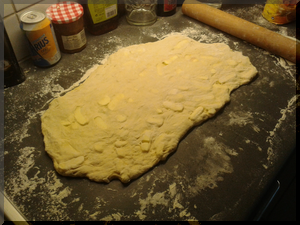 Add the yeast and crumble with a little flour. 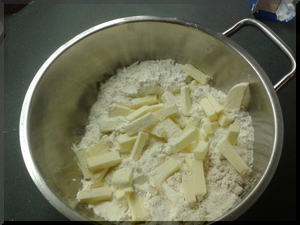 Add the diced butter and lightly turn in the flour. 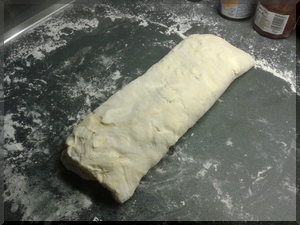 Add the water and the egg and mix by hand till a rough dough. Do not squeeze the butter to much. 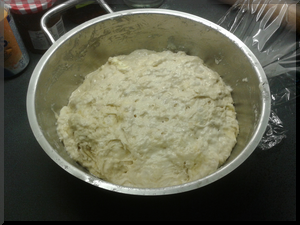 Cover the bowl with cling film and leave overnight in the fridge. 2. 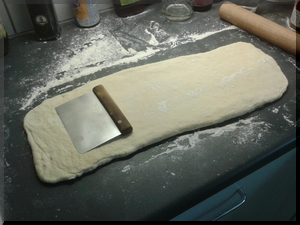 Turn out the dough (slightly risen) on floured working surface. 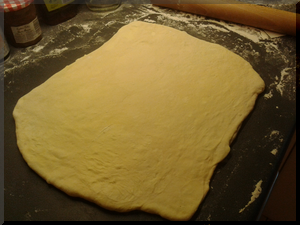 Form and roll out into a rectangle. 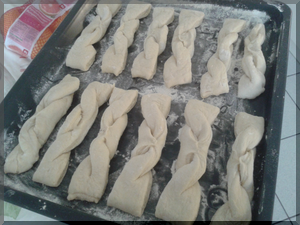 Fold in three parts . roll out again in a rectangle. 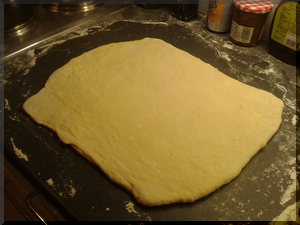 repeat 4 to 5 times until dough is smooth. 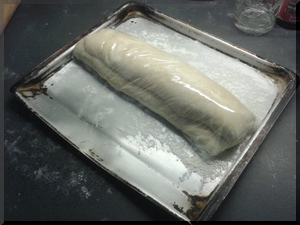 Cover with cling film and leave for 2 hours in the fridge. 3. 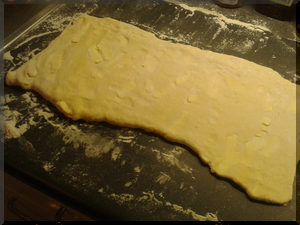 Turn out on floured surface and roll out in long rectangle. 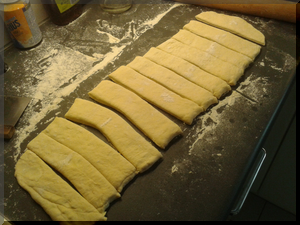 Cut into 10- 12 pieces. 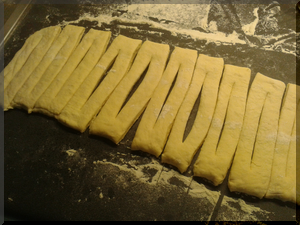 twist the cuts into yum yum form ;-). Bake each piece in deep fat fryer at 170-180C. turn round after 3 minutes. 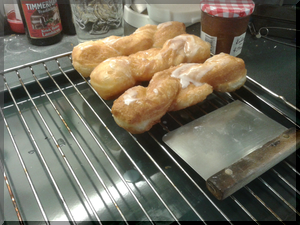 Put on a wire rack and brush with the glaze (icing sugar mixed with some water). 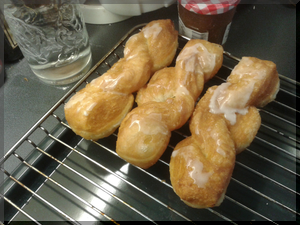 This entry was posted in James Morton, pastry. Bookmark the permalink.